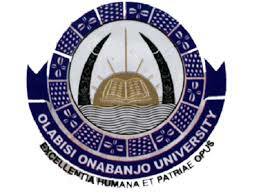 The Olabisi Onabanjo University Centre for Continuing Education [CCED] Matriculates/Admits 1,260 Students for 2017/2018 Session. The ceremony took place at the Pre-degree Science Hall in the Mini Campus, Ago-Iwoye on Friday, 2nd March, 2018. Delivering his address at the ceremony, the Vice-Chancellor, Professor Ganiyu Olatunji Olatunde disclosed that the goal of the University “is to achieve excellence and make the University degree respected World wide”. He said that the University administration was striving hard to ensure that quality structures were being put in place that would make the system generally appealing to students and conducive for learning. He stressed that Departments were constantly reviewing their programmes to make them competitive and respond to the changing demands of the world of jobs. Professor Olatunde observed that the University had had to confront many challenges in the past that tend to undermine its image adding that, the system had seriously worked to improve the University governance structure that made it stand out as to best State University in Nigeria in 2016. He charged the students to be conscious of the regulations guiding registrations, examinations, use of facilities, attendance at lectures and relationships among students/staff and other members of the community. He stressed that the students must consult their CCED handbook or sought information from Heads of Departments; Sub Deans of College/Faculties Course Advisers, CCED officials and notice boards. He urged the matriculants to pay their full fees on time and register fully for the session adding that non-payment of fees and registration would attract penalty of determination on their studentships after two semesters. He prayed for God’s blessing on the matriculants’ families who would provide them with the enabling support to succeed on their programmes. The climax of the ceremony was the administration of Oath by the Registrar of the University – Mrs. Omolara Adeyinka Osunsanya. It is interesting to note that all the matriculants were shared among the Faculties and Colleges in the University.